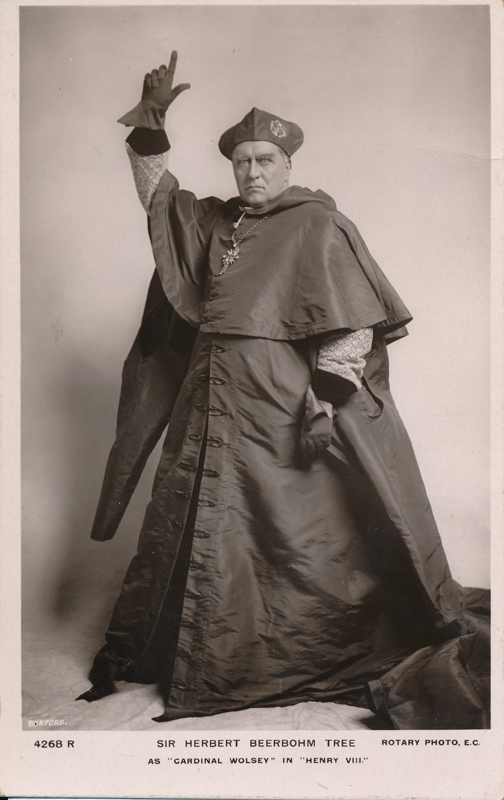 Born in 1853, Tree’s real name was Herbert Draper Beerbohm. 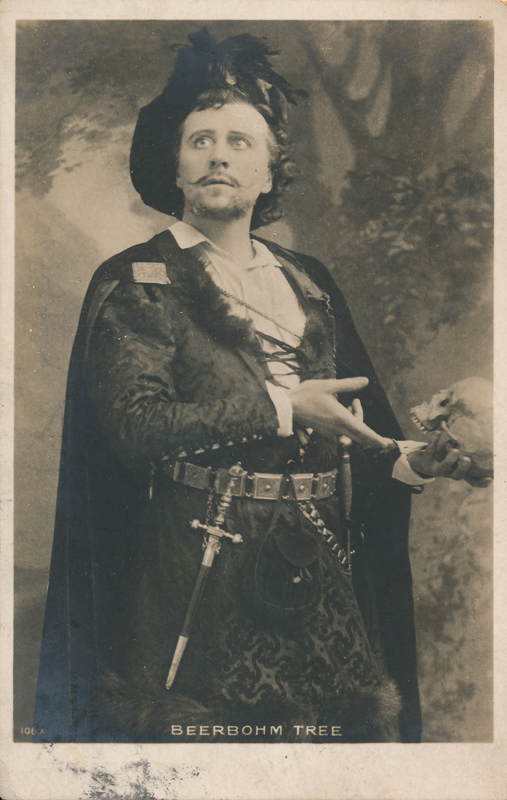 He assumed his famous stage name in the 1870s. 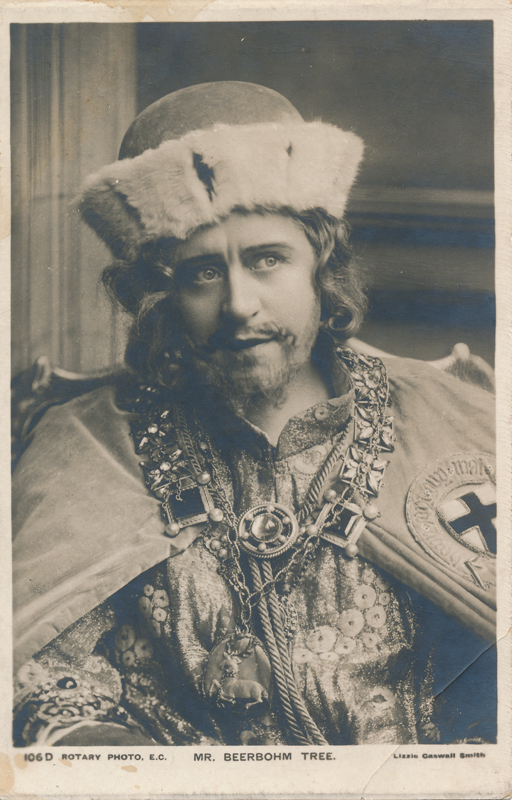 After a string of performances, he joined Frank Benson’s company in 1886, where he played Iago before going on to London and the Haymarket Theatre where he eventually became the manager. 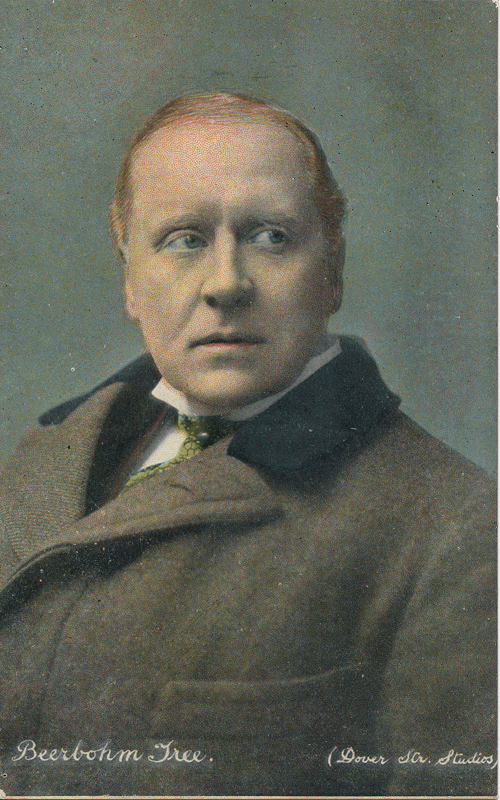 “He elevated the Haymarket’s status as a Shakespearian playhouse, and his productions of The Merry Wives of Windsor (1889), Hamlet (1892), and Henry IV, Part 1 (1896) earned him recognition not only as an accomplished actor–manager capable of producing a wide range of genres but also as a solid competitor to Henry Irving and the Lyceum Theatre. 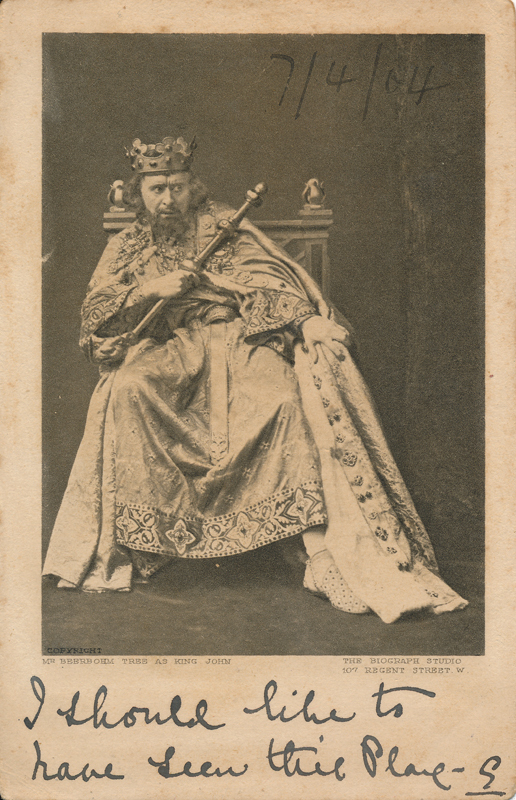 “While Tree built Her Majesty’s Theatre’s (opened in 1897) solid reputation on the successful productions of a variety of dramas, he earned his theater the international reputation as the premier playhouse for Shakespeare in Britain during the Edwardian era, and it is for this dedication to the production of Shakespeare that his career was most celebrated. 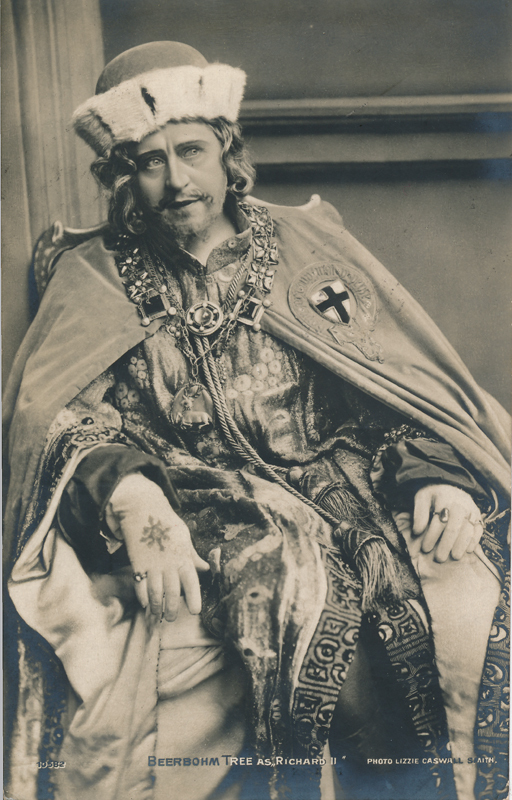 During his twenty-year tenure at Her Majesty’s, he worked indefatigably to popularize Shakespeare with the general theater-going public, and his success is evinced by an impressive production record unmatched by any West End manager: he put on sixteen Shakespeare plays which averaged initial three-month runs, many of them successful enough for periodic revivals during subsequent seasons, and he instituted an annual Shakespeare festival which featured more than two hundred performances by Her Majesty’s Theatre company and other acting corps during its nine-year existence (1905–13). 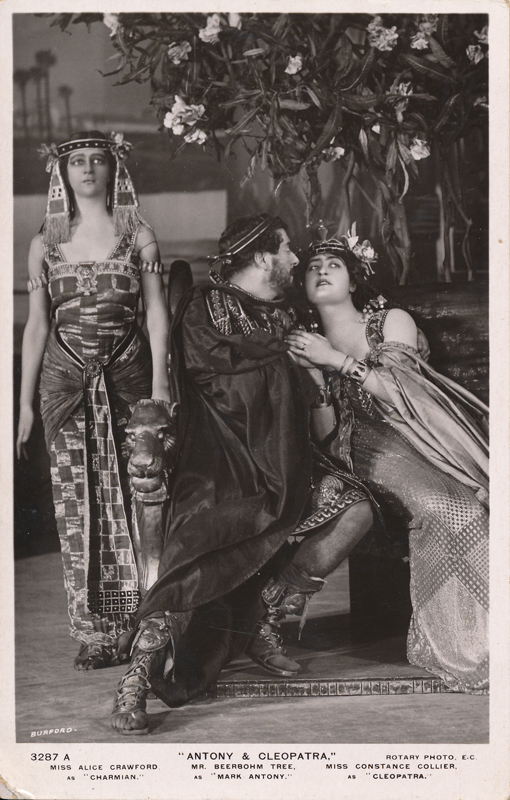 At a time when most theater managers believed that Shakespeare’s plays lacked commercial viability and spelt financial ruin, Tree proved that Shakespeare could be made accessible and appealing to large numbers of patrons. 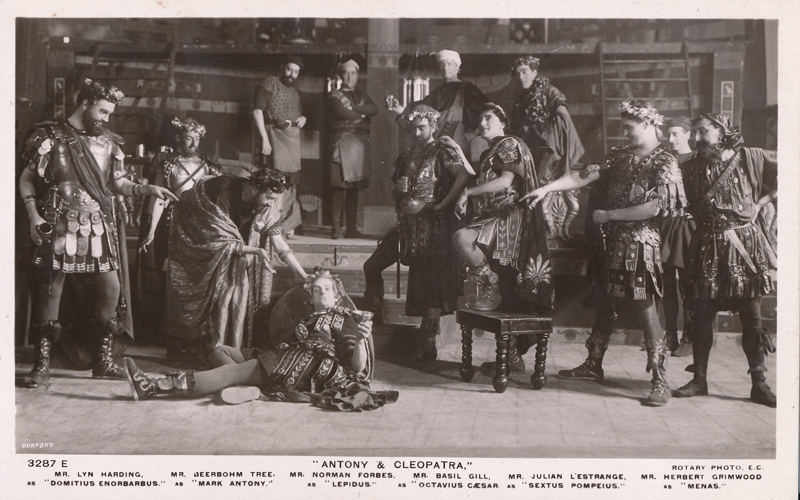 “Fittingly, his initial Shakespearian production, Julius Caesar, was his first commercial success at Her Majesty’s, and during its six-month run (January 22 to June 10, 1898) it enjoyed 165 consecutive performances and attracted 242,000 spectators.” His next revivals, King John (1899 -1900), A Midsummer Night’s Dream (1900), and Henry VIII (1910-11) were also record breakers in their own right. 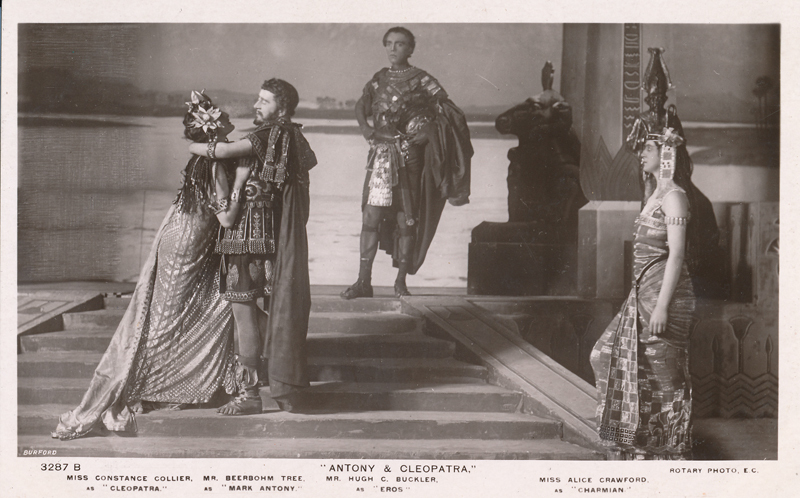 “Most of the Shakespeare revivals at Her Majesty’s enjoyed equally unprecedented runs. 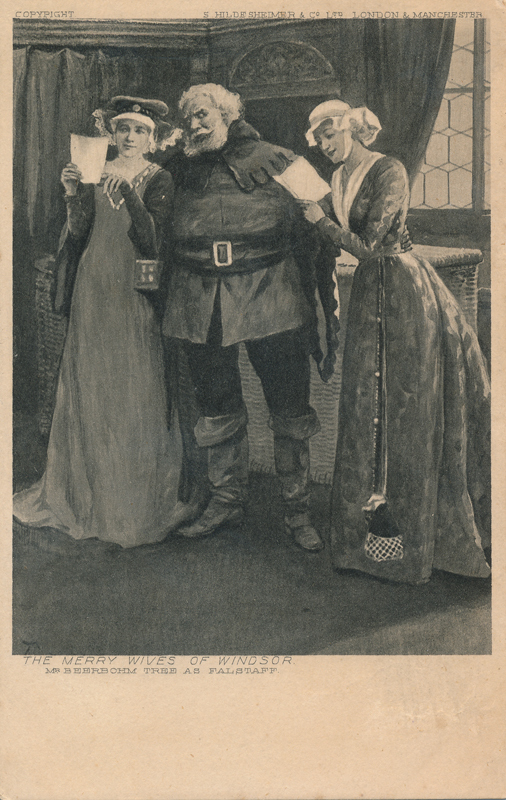 Tree succeeded in popularizing Shakespeare with his audiences because he staged the plays in ways that appealed to spectators’ taste for elaborate spectacle and realistic scenery and scenic effects. 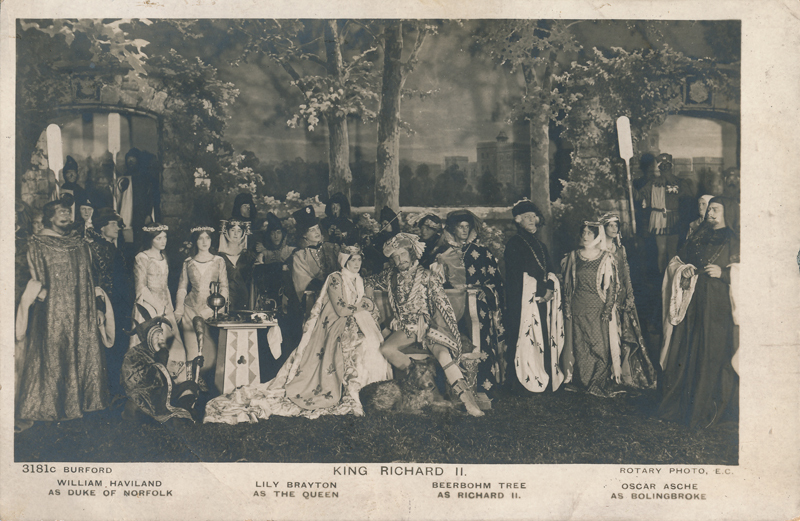 Working in the tradition of pictorial realism which dominated the nineteenth- and early twentieth-century theater, Tree brought this scenographic method to its apogee, staging the most spectacular Shakespearian revivals in British stage history. 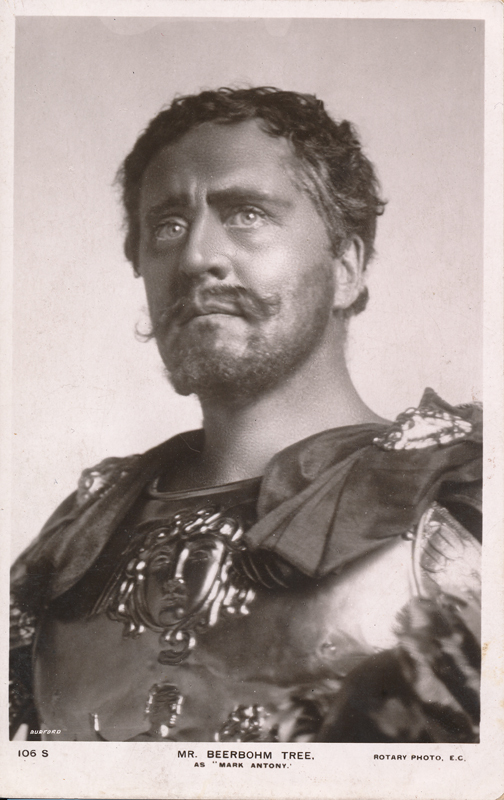 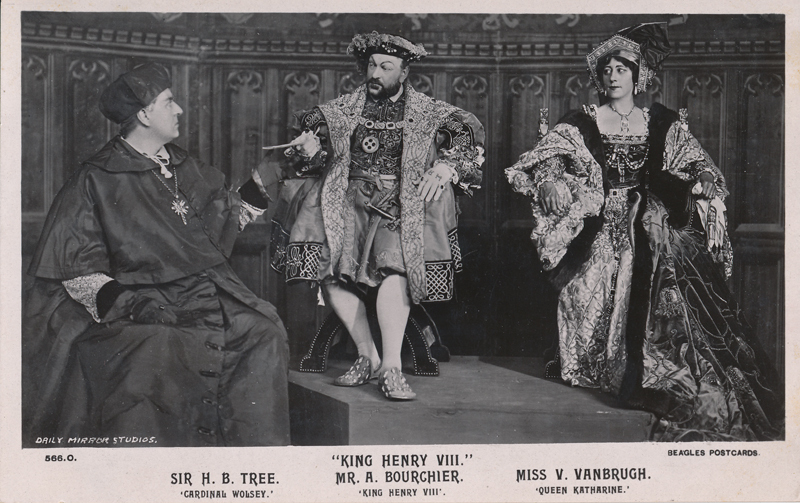 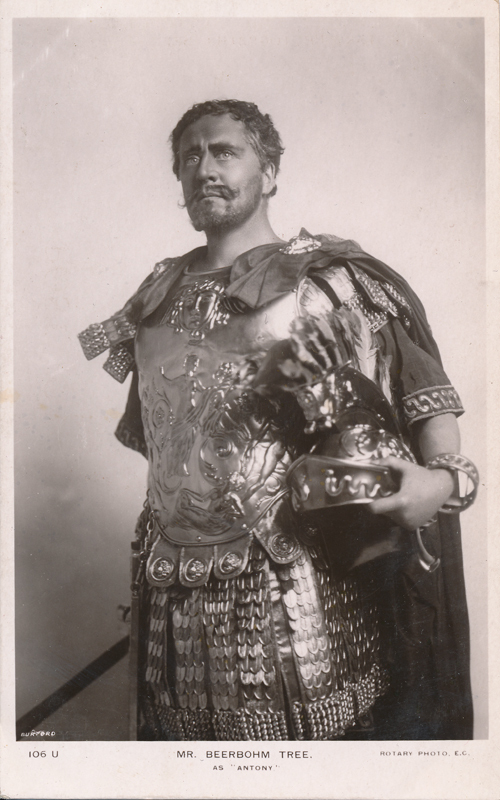 […]” Tree’s work with Shakespeare also involved four film projects that spanned his career at Her Majesty’s: the opening shipwreck from his 1904-5 revival of The Tempest; a five-scene version of Henry VIII, based on his 1910-11 production featuring himself as Cardinal Wolsey; a 1916 Macbeth, bearing no direct resemblance to his 1911 stage version; and, though not as extensive as the others but certainly the most important historically, three brief segments from his King John revival filmed in 1899—Tree’s initial cinematographic venture and the very first record of Shakespeare on film. 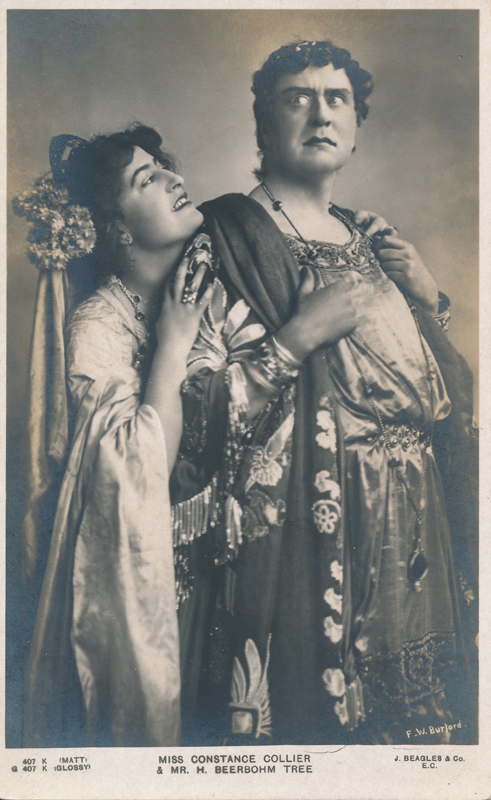 His eldest daughter, Viola Tree, was born in 1884. 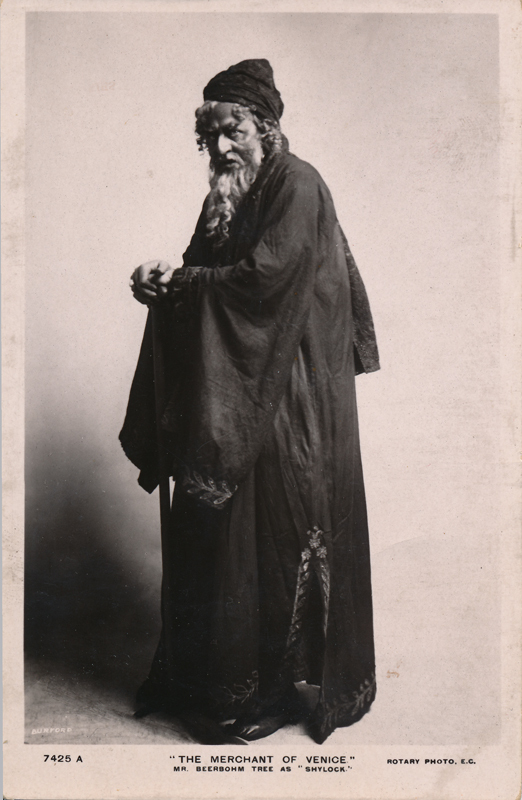 “Tree excelled in character roles, and was considered by many to be the best character actor of his day. 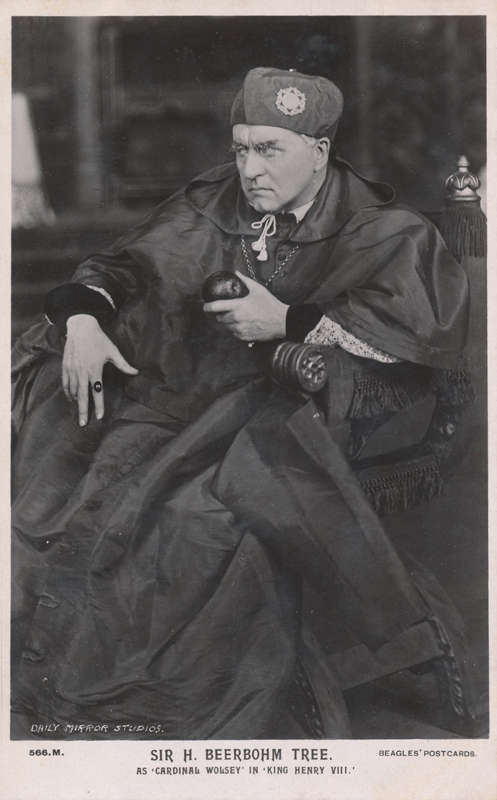 He possessed an exceptional mimetic genius that enabled him to enact a wide range of roles in which he gave each a unique and differing individuality, and he excelled especially in those characters with idiosyncratic and eccentric natures on which he could build strong, vivid parts.” He died in London in 1917 (Oxford Dictionary of National Bibliography). 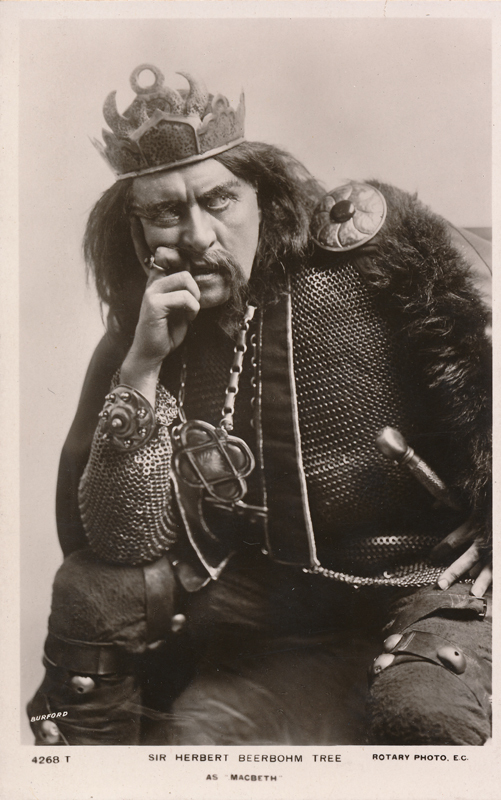 Here are some audio and video clips of Sir Beerbohm Tree performing Shakespeare.